Looking for a used Kia near Meriden? 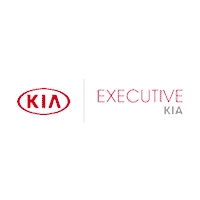 Then Executive Kia is the used Kia dealership that has what you need. With over 67 used vehicles in stock, you’re sure to find a pre-owned model that fits your budget and preference. Choose from popular models like a used Kia Sportage SUV, Kia Optima or a pre-owned Kia Forte. If you want the benefits of buying a used vehicle but would still like to enjoy the comfort of being under warranty, we offer a large selection of Certified Pre-Owned Kia vehicles. **ONE OWNER**, **BLUETOOTH**, **USB**, *SATELLITE RADIO*, 1 Owner Clean Carfax, Clean Carfax Certified!. 2016 Kia Forte LX Steel Blue Metallic 26/39 City/Highway MPG For more information on this vehicle, or any of our high quality,fully reconditioned,warranty backed, pre-owned or new vehicles, please visit us at www.executivekia.com. 2014 Kia Sportage LX Twilight Blue 21/28 City/Highway MPG Awards: * JD Power Initial Quality Study (IQS) * 2014 KBB.com 10 Most Affordable SUVs * 2014 KBB.com 10 Best All-Wheel-Drive Cars & SUVs Under $25,000 * 2014 KBB.com Brand Image Awards For more information on this vehicle, or any of our high quality,fully reconditioned,warranty backed, pre-owned or new vehicles, please visit us at www.executivekia.com. **KIA CERTIFIED**, **BLUETOOTH**, **USB**, **POWER DRIVER SEAT**. Certified. Kia Certified Pre-Owned Details: * 164 Point Inspection * Vehicle History * Includes Rental Car and Trip Interruption Reimbursement * Limited Warranty: 12 Month/12,000 Mile (whichever comes first) "Platinum Coverage" from certified purchase date * Warranty Deductible: $50 * Roadside Assistance * Powertrain Limited Warranty: 120 Month/100,000 Mile (whichever comes first) from original in-service date * Transferable Warranty 2015 Kia Soul Plus Titanium Gray Awards: * ALG Residual Value Awards * 2015 KBB.com 15 Best Family Cars For more information on this vehicle, or any of our high quality,fully reconditioned,warranty backed, pre-owned or new vehicles, please visit us at www.executivekia.com. **KIA CERTIFIED**, **ONE OWNER**, **BLUETOOTH**, **USB**, 1 Owner Clean Carfax, Clean Carfax Certified!. Certified. Kia Certified Pre-Owned Details: * 164 Point Inspection * Includes Rental Car and Trip Interruption Reimbursement * Roadside Assistance * Warranty Deductible: $50 * Powertrain Limited Warranty: 120 Month/100,000 Mile (whichever comes first) from original in-service date * Limited Warranty: 12 Month/12,000 Mile (whichever comes first) "Platinum Coverage" from certified purchase date * Vehicle History * Transferable Warranty 2015 Kia Soul Titanium Gray Odometer is 5284 miles below market average! 24/30 City/Highway MPG Awards: * ALG Residual Value Awards * 2015 KBB.com 15 Best Family Cars For more information on this vehicle, or any of our high quality,fully reconditioned,warranty backed, pre-owned or new vehicles, please visit us at www.executivekia.com. **BLUETOOTH**, **USB**, *SATELLITE RADIO*, **17" ALLOY WHEELS**. 2015 Kia Sorento LX Snow White Pearl 20/27 City/Highway MPG Awards: * JD Power Initial Quality Study (IQS) * 2015 KBB.com 10 Best SUVs Under $25,000 For more information on this vehicle, or any of our high quality,fully reconditioned,warranty backed, pre-owned or new vehicles, please visit us at www.executivekia.com. **KIA CERTIFIED**, **ONE OWNER**, **BACK UP CAMERA**, **BLUETOOTH**, **USB**, *SATELLITE RADIO*, **17" ALLOY WHEELS**, 1 Owner Clean Carfax, Clean Carfax Certified!, CRUISE CONTROL, POPULAR PACKAGE, APPLE CARPLAY, ANDROID AUTO. Certified. Kia Certified Pre-Owned Details: * Powertrain Limited Warranty: 120 Month/100,000 Mile (whichever comes first) from original in-service date * Warranty Deductible: $50 * Includes Rental Car and Trip Interruption Reimbursement * 164 Point Inspection * Limited Warranty: 12 Month/12,000 Mile (whichever comes first) "Platinum Coverage" from certified purchase date * Roadside Assistance * Transferable Warranty * Vehicle History 2018 Kia Forte LX Snow White Pearl 29/37 City/Highway MPG For more information on this vehicle, or any of our high quality,fully reconditioned,warranty backed, pre-owned or new vehicles, please visit us at www.executivekia.com. **KIA CERTIFIED**, **ONE OWNER**, **BACK UP CAMERA**, **BLUETOOTH**, **USB**, *SATELLITE RADIO*, CRUISE CONTROL, APPLE CARPLAY, ANDROID AUTO, LX POPULAR PACKAGE. Certified. Kia Certified Pre-Owned Details: * Roadside Assistance * Includes Rental Car and Trip Interruption Reimbursement * Vehicle History * Transferable Warranty * Limited Warranty: 12 Month/12,000 Mile (whichever comes first) "Platinum Coverage" from certified purchase date * Powertrain Limited Warranty: 120 Month/100,000 Mile (whichever comes first) from original in-service date * Warranty Deductible: $50 * 164 Point Inspection 2018 Kia Forte LX Snow White Pearl 29/37 City/Highway MPG For more information on this vehicle, or any of our high quality,fully reconditioned,warranty backed, pre-owned or new vehicles, please visit us at www.executivekia.com. **BACK UP CAMERA**, **HEATED SEATS**, **BLUETOOTH**, **USB**, *SATELLITE RADIO*, **17" ALLOY WHEELS**, AWD. 2014 Kia Sorento LX Ebony Black Awards: * 2014 IIHS Top Safety Pick * 2014 KBB.com 10 Best SUVs Under $25,000 * 2014 KBB.com 10 Most Affordable 3-Row Vehicles * 2014 KBB.com Brand Image Awards For more information on this vehicle, or any of our high quality,fully reconditioned,warranty backed, pre-owned or new vehicles, please visit us at www.executivekia.com. **ONE OWNER**, **SOLD AND SERVICED HERE**, **BLUETOOTH**, **USB**, 1 Owner Clean Carfax, Clean Carfax Certified!. Certified. Kia Certified Pre-Owned Details: * Transferable Warranty * Warranty Deductible: $50 * Roadside Assistance * 164 Point Inspection * Powertrain Limited Warranty: 120 Month/100,000 Mile (whichever comes first) from original in-service date * Limited Warranty: 12 Month/12,000 Mile (whichever comes first) "Platinum Coverage" from certified purchase date * Vehicle History * Includes Rental Car and Trip Interruption Reimbursement 2016 Kia Forte EX Silky Silver 24/35 City/Highway MPG For more information on this vehicle, or any of our high quality,fully reconditioned,warranty backed, pre-owned or new vehicles, please visit us at www.executivekia.com. **KIA CERTIFIED**, **ONE OWNER**, **BACK UP CAMERA**, **BLUETOOTH**, **USB**, 1 Owner Clean Carfax, Clean Carfax Certified!. Certified. Kia Certified Pre-Owned Details: * Limited Warranty: 12 Month/12,000 Mile (whichever comes first) "Platinum Coverage" from certified purchase date * Vehicle History * Includes Rental Car and Trip Interruption Reimbursement * 164 Point Inspection * Warranty Deductible: $50 * Roadside Assistance * Transferable Warranty * Powertrain Limited Warranty: 120 Month/100,000 Mile (whichever comes first) from original in-service date 2017 Kia Soul Plus Mysterious Black Odometer is 4224 miles below market average! 25/30 City/Highway MPG Awards: * JD Power Initial Quality Study (IQS) * 2017 KBB.com 10 Coolest New Cars Under $18,000 * 2017 KBB.com 10 Most Awarded Brands For more information on this vehicle, or any of our high quality,fully reconditioned,warranty backed, pre-owned or new vehicles, please visit us at www.executivekia.com. **KIA CERTIFIED**, **ONE OWNER**, **BLUETOOTH**, **USB**, *SATELLITE RADIO*, 1 Owner Clean Carfax, Clean Carfax Certified!, black Cloth. Certified. Kia Certified Pre-Owned Details: * Roadside Assistance * Warranty Deductible: $50 * Includes Rental Car and Trip Interruption Reimbursement * Transferable Warranty * Powertrain Limited Warranty: 120 Month/100,000 Mile (whichever comes first) from original in-service date * 164 Point Inspection * Limited Warranty: 12 Month/12,000 Mile (whichever comes first) "Platinum Coverage" from certified purchase date * Vehicle History 2018 Kia Rio LX Aurora Black 28/37 City/Highway MPG For more information on this vehicle, or any of our high quality,fully reconditioned,warranty backed, pre-owned or new vehicles, please visit us at www.executivekia.com. **KIA CERTIFIED**, **ONE OWNER**, **BLUETOOTH**, **USB**, *SATELLITE RADIO*, **17" ALLOY WHEELS**, ** UVO eSERVICES**, Clean Carfax Certified!, HEATED OUTSIDE MIRRORS, TILT & TELESCOPE WHEEL. Certified. Kia Certified Pre-Owned Details: * Includes Rental Car and Trip Interruption Reimbursement * Transferable Warranty * Vehicle History * Warranty Deductible: $50 * 164 Point Inspection * Limited Warranty: 12 Month/12,000 Mile (whichever comes first) "Platinum Coverage" from certified purchase date * Powertrain Limited Warranty: 120 Month/100,000 Mile (whichever comes first) from original in-service date * Roadside Assistance 2018 Kia Soul Plus Clear White 25/30 City/Highway MPG For more information on this vehicle, or any of our high quality,fully reconditioned,warranty backed, pre-owned or new vehicles, please visit us at www.executivekia.com. **KIA CERTIFIED**, **ONE OWNER**, **SOLD AND SERVICED HERE**, **BLUETOOTH**, **USB**, *SATELLITE RADIO*, 1 Owner Clean Carfax, Clean Carfax Certified!. Certified. Kia Certified Pre-Owned Details: * Transferable Warranty * 164 Point Inspection * Vehicle History * Limited Warranty: 12 Month/12,000 Mile (whichever comes first) "Platinum Coverage" from certified purchase date * Powertrain Limited Warranty: 120 Month/100,000 Mile (whichever comes first) from original in-service date * Includes Rental Car and Trip Interruption Reimbursement * Warranty Deductible: $50 * Roadside Assistance 2016 Kia Forte EX Steel Blue Metallic Odometer is 8549 miles below market average! 24/35 City/Highway MPG For more information on this vehicle, or any of our high quality,fully reconditioned,warranty backed, pre-owned or new vehicles, please visit us at www.executivekia.com. **KIA CERTIFIED**, **BLUETOOTH**, **USB**, *SATELLITE RADIO*. Certified. Kia Certified Pre-Owned Details: * Roadside Assistance * Powertrain Limited Warranty: 120 Month/100,000 Mile (whichever comes first) from original in-service date * 164 Point Inspection * Transferable Warranty * Limited Warranty: 12 Month/12,000 Mile (whichever comes first) "Platinum Coverage" from certified purchase date * Vehicle History * Warranty Deductible: $50 * Includes Rental Car and Trip Interruption Reimbursement 2018 Kia Forte LX Aurora Black Odometer is 4731 miles below market average! 29/37 City/Highway MPG For more information on this vehicle, or any of our high quality,fully reconditioned,warranty backed, pre-owned or new vehicles, please visit us at www.executivekia.com. **KIA CERTIFIED**, **ONE OWNER**, **SOLD AND SERVICED HERE**, **BLUETOOTH**, **USB**, **POWER DRIVER SEAT**, *SATELLITE RADIO*, 1 Owner Clean Carfax, Clean Carfax Certified!, **BLIND SPOT DETECTION**, **REAR PARKING ASSIST**, **REAR CROSS TRAFIC ALERT**, Convenience Package, black Cloth. Certified. Kia Certified Pre-Owned Details: * Limited Warranty: 12 Month/12,000 Mile (whichever comes first) "Platinum Coverage" from certified purchase date * Transferable Warranty * Includes Rental Car and Trip Interruption Reimbursement * Warranty Deductible: $50 * Powertrain Limited Warranty: 120 Month/100,000 Mile (whichever comes first) from original in-service date * Vehicle History * 164 Point Inspection * Roadside Assistance 2016 Kia Optima LX Titanium Gray 24/35 City/Highway MPG Awards: * 2016 IIHS Top Safety Pick+ * 2016 KBB.com 10 Most Awarded Cars * 2016 KBB.com 10 Best Sedans Under $25,000 * 2016 KBB.com Best Auto Tech Award Finalist * 2016 KBB.com 16 Best Family Cars * 2016 KBB.com 10 Most Comfortable Cars Under $30,000 * 2016 KBB.com Best Buy Awards Winner For more information on this vehicle, or any of our high quality,fully reconditioned,warranty backed, pre-owned or new vehicles, please visit us at www.executivekia.com. **ONE OWNER**, **LEATHER**, **BLUETOOTH**, **USB**, *SATELLITE RADIO*, ** UVO eSERVICES**, **18" ALLOY WHEELS**. 2014 Kia Forte Koup SX Racing Red Odometer is 38330 miles below market average! 22/30 City/Highway MPG Awards: * 2014 KBB.com Brand Image Awards For more information on this vehicle, or any of our high quality,fully reconditioned,warranty backed, pre-owned or new vehicles, please visit us at www.executivekia.com. black Cloth. Certified. Kia Certified Pre-Owned Details: * 164 Point Inspection * Includes Rental Car and Trip Interruption Reimbursement * Warranty Deductible: $50 * Roadside Assistance * Powertrain Limited Warranty: 120 Month/100,000 Mile (whichever comes first) from original in-service date * Limited Warranty: 12 Month/12,000 Mile (whichever comes first) "Platinum Coverage" from certified purchase date * Vehicle History * Transferable Warranty 2017 Kia Optima LX Sparkling Silver Odometer is 3194 miles below market average! 25/36 City/Highway MPG Awards: * 2017 IIHS Top Safety Pick * 2017 KBB.com Best Family Sedans * 2017 KBB.com 10 Most Awarded Cars * 2017 KBB.com 10 Best Sedans Under $25,000 * 2017 KBB.com 10 Most Comfortable Cars Under $30,000 * 2017 KBB.com 10 Most Awarded Brands For more information on this vehicle, or any of our high quality,fully reconditioned,warranty backed, pre-owned or new vehicles, please visit us at www.executivekia.com. **KIA CERTIFIED**, **ONE OWNER**, **BLUETOOTH**, **USB**, *SATELLITE RADIO*, black Cloth. Certified. Kia Certified Pre-Owned Details: * Powertrain Limited Warranty: 120 Month/100,000 Mile (whichever comes first) from original in-service date * Includes Rental Car and Trip Interruption Reimbursement * Vehicle History * Warranty Deductible: $50 * 164 Point Inspection * Transferable Warranty * Limited Warranty: 12 Month/12,000 Mile (whichever comes first) "Platinum Coverage" from certified purchase date * Roadside Assistance 2018 Kia Rio S Aurora Black 28/37 City/Highway MPG For more information on this vehicle, or any of our high quality,fully reconditioned,warranty backed, pre-owned or new vehicles, please visit us at www.executivekia.com. **KIA CERTIFIED**, **ONE OWNER**, **BACK UP CAMERA**, **BLUETOOTH**, **USB**, *SATELLITE RADIO*, **17" ALLOY WHEELS**. Certified. Kia Certified Pre-Owned Details: * Powertrain Limited Warranty: 120 Month/100,000 Mile (whichever comes first) from original in-service date * Limited Warranty: 12 Month/12,000 Mile (whichever comes first) "Platinum Coverage" from certified purchase date * Roadside Assistance * Warranty Deductible: $50 * Vehicle History * Transferable Warranty * 164 Point Inspection * Includes Rental Car and Trip Interruption Reimbursement 2018 Kia Soul Plus Mysterious Blue 25/30 City/Highway MPG For more information on this vehicle, or any of our high quality,fully reconditioned,warranty backed, pre-owned or new vehicles, please visit us at www.executivekia.com. Here at Executive Kia, we understand the diverse needs of Branford area drivers. That’s why we always maintain a vast inventory of used cars and SUVs. And to make sure we have a used vehicle to suit almost every budget, we also stock a selection of used vehicles priced under 10k. Once you’ve browsed our inventory and found the perfect pre-owned Kia for you, it’s time to stop in for a test drive. Please contact us at your convenience with any questions about our used cars or to schedule a visit to our showroom in Wallingford near North Haven.